Winter is setting in and it’s time to talk about the hedgehogs! With bonfire night coming round this weekend it’s especially important to think about the little spiky animals, and here are some tips to look after them all year round! Hedgehogs like to get all cosy and snug in piles of leaves and bushes, so you should always build your bonfire on clear ground. The British Hedgehog Preservation Society advises you build your bonfire on the day it is going to be lit, rather than before so it’s less likely for a hedgehog to have found their way inside to hibernate. You can help hedgehogs in your garden by making it a wildlife haven! I know we all love to have a tidy, well kept garden, but leaving at least an area of your garden unkempt is great for hedgehogs and other wildlife. The animals can then use fallen leaves, twigs and other vegetation to build nests. Creating a pile of logs also gives hedgehogs somewhere to hide, sleep and hibernate. 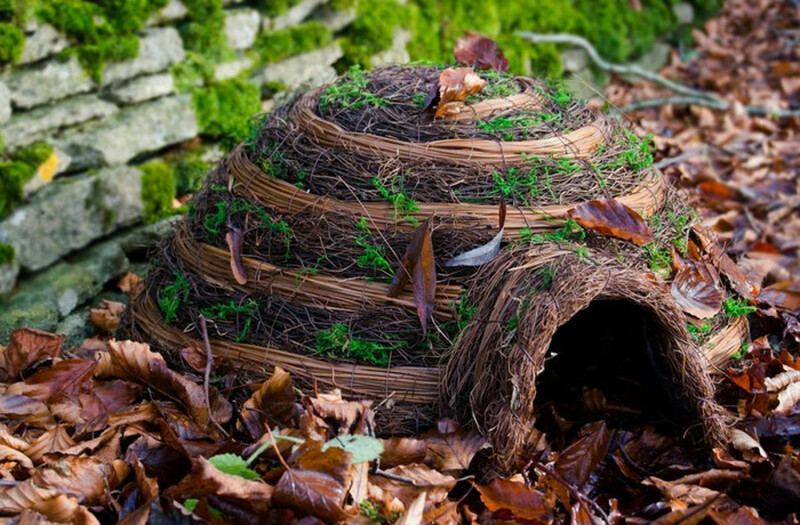 If you don’t want to keep part of your garden untidy, you can make or buy your very own hedgehog house for your garden. This is a great way to keep hedgehogs safe from predators since the opening is usually just big enough for the hedgehog. The homes will also attract invertebrates like slugs and beetles that hedgehogs like to eat. Making your own hedgehog house is as easy as leaning a piece of wood against a wall and adding leaves and twigs to create a nesting area. Slug pellets are poisonous to hedgehogs too, and they’ll happily eat up any slugs or snails that are pestering your garden. Also try natural alternatives to slug pellets if they are a real problem for you. Cover up any holes such as drains or gullies so that hedgehogs won’t fall into them. If you have a pond, make sure you provide an access point so that hedgehogs can easily get out if they fall in. It’s easy enough to do by making a ramp at one end or placing stones in that area. Previous story Interview with Emma Bunton, co-founder of Kit & Kin, Spice Girl and UNICEF ambassador.